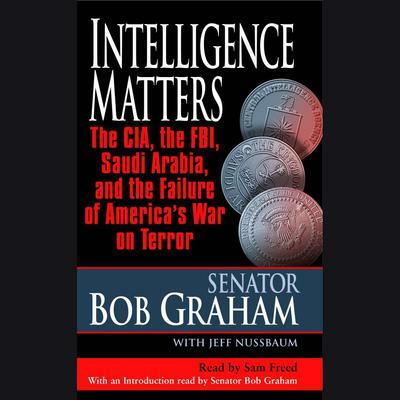 In this explosive, controversial, and profoundly alarming insider’s report, Senator Bob Graham reveals faults in America’s national security network severe enough to raise fundamental questions about the competence and honesty of public officials in the CIA, the FBI, and the White House. • At one point, a terrorist support network conducted some of its operations through Saudi Arabia’s U.S. embassy–and a funding chain for terrorism led to the Saudi royal family. • In February 2002, only four months after combat began in Afghanistan, the Bush administration ordered General Tommy Franks to move vital military resources out of Afghanistan for an operation against Iraq–despite Franks’s privately stated belief that there was a job to finish in Afghanistan, and that the war on terrorism should focus next on terrorist targets in Somalia and Yemen. • Throughout 2002, President Bush directed the FBI to limit its investigations of Saudi Arabia, which supported some and possibly all of the September 11 hijackers. • The White House was so uncooperative with the bipartisan inquiry that its behavior bore all the hallmarks of a cover-up. • The FBI had an informant who was extremely close to two of the September 11 hijackers, and actually housed one of them, yet the existence of this informant and the scope of his contacts with the hijackers were covered up. • There were twelve instances when the September 11 plot could have been discovered and potentially foiled. • Days after 9/11, U.S. authorities allowed some Saudis to fly, despite a complete civil aviation ban, after which the government expedited the departure of more than one hundred Saudis from the United States. • Foreign leaders throughout the Middle East warned President Bush of exactly what would happen in a postwar Iraq, and those warnings went either ignored or unheeded. As a result of his Senate work, Graham has become convinced that the attacks of September 11 could have been avoided, and that the Bush administration’s war on terrorism has failed to address the immediate danger posed by al-Qaeda, Hezbollah, and Hamas in Afghanistan, Syria, Yemen, and Somalia. His book is a disturbing reminder that at the highest levels of national security, now more than ever, intelligence matters.